Smart exercisers use high-intensity interval workouts for weight loss. Why? Because high-intensity interval training (also called HIT or HIIT) really works when you want to slim down. Even scientific researchers have found that HIT training for weight loss really works. But this style of short interval training has to be set up correctly. Do you have to hire a coach to set up the workout? No. You can be your own personal trainer and set up a plan that will help you to lose weight and change your body composition in no time. Here’s how. Before you start an exercise program that involves high-intensity activity, you need to be sure that you are healthy enough for vigorous activity. You’ll be working very hard, so check with your doctor to be sure that you are in good health. Next, you need to include your interval workout program in a well-designed exercise schedule. That means you should be well rested going into the workout and you’ll need a recovery day (not a rest day!) afterward. Never do back-to-back HIIT workouts to lose weight. Believe it or not, this could make the whole weight loss workout plan less effective. 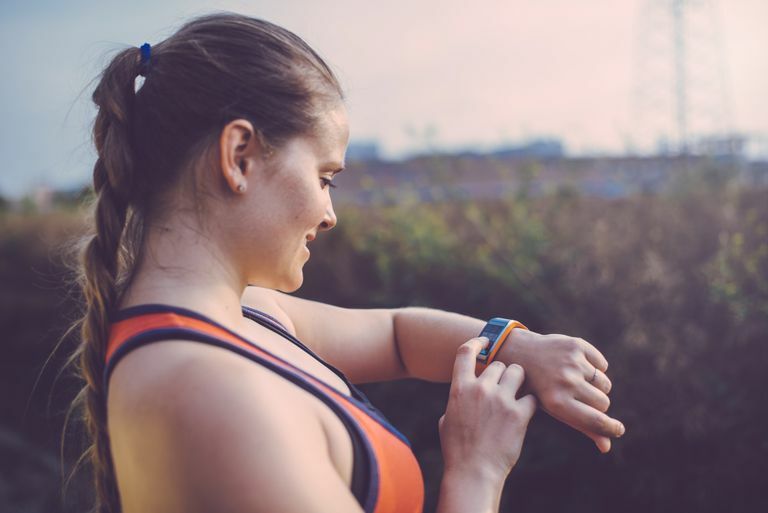 Lastly, you’ll need to be equipped with a stopwatch and some method for monitoring your workout intensity. A heart rate monitor works best. If you don’t own a monitor, you can use perceived exertion or take your pulse manually. Intervals are simply short periods of time. When you do an interval workout you alternate short periods of hard work with short periods of easier work. The cycle of work/rest is repeated several times in the course of an interval workout. Researchers who have studied high-intensity workouts have used different interval lengths and have found success with different interval types. In several recent studies, exercise physiologists used work intervals that lasted two minutes, followed by rest intervals lasting three minutes. The cycle was repeated five times. You can adjust your intervals if necessary. The general rule of thumb is the shorter the interval time, the more intense it should be. But remember that intensity is the key, not duration. So, longer intervals are not necessarily better because you can’t work as hard for five minutes as you can for 20 seconds. Once you’ve chosen your interval length and workout schedule, it’s time to get to work. Choose your favorite activity for the workout; just about anything works. If you are a runner, you might complete your workout at a local sprint track. If you enjoy cycling, you can do interval bike training for weight loss. You can do intervals on stairs, with a jump rope or even by dancing in place! The intensity matters more than the mode. Be sure that you begin your interval training with a 7-10 minute steady state warm-up. It’s a good idea to do a less strenuous version of whatever activity you’ve chosen for the workout. If you’ll be doing running intervals, for example, your warm-up would consist of a light jog or a fast walk. A review of interval training programs found that many trainers used a high-intensity interval training program on their clients for two to 16 weeks to see fat loss and an increase in lean muscle mass. Most of the more successful HIIT weight loss programs lasted eight weeks. As you progress through your interval training program, be sure to eat enough protein to help your body burn calories and build muscle with each workout. Following a HIIT-friendly diet will help you to see results faster. And remember that consistency is the most important component of every weight loss program. If you stick with it, you’ll see your fitness level improve and your body change for the better. Stephen H. Boutcher. "High-Intensity Intermittent Exercise and Fat Loss." Journal of Obesity October 2010. P Boudou, E Sobngwi, F Mauvais-Jarvis, P Vexiau and JF Gautier. "Absence of exercise-induced variations in adiponectin levels despite decreased abdominal adiposity and improved insulin sensitivity in type 2 diabetic men. "European Journal of Endocrinology November 2003.